The GENI program provides the opportunity to gain an understanding of the various challenges and opportunities facing the circumpolar north. Students will learn how different strategies of governance, entrepreneurship, and resource management can strengthen the position of the communities and the peoples of the region. The program is provided through collaboration between UiT - the Arctic University of Norway and the University of Saskatchewan, Canada, and graduates receive a joint degree from both institutions. The program is offered in a part-time schedule over the course of eight semesters (4 years) or full-time schedule over the course of four semesters (2 years). Please note that the "Programme structure" section is relevant for students in the 2019 cohort and onwards. If you want access to the structure relevant for students in the 2015, 2016 and 2017 cohorts, please contact the Student advisor for the program (see name on the right hand side of this page). GENI provides interdisciplinary approaches to academic content and includes courses delivered by instructors from different departments and faculties at each partner institution. In addition, the program provides practical content, including technical courses. The program affords all students a unique opportunity to conduct applied research with industry, government, and Indigenous peoples and institutions on issues concerning natural resource management, consultations and negotiations, and economic development or other governance issues in the circumpolar north. The program is offered flexibly, in both a part-time schedule over eight semesters (4 years) and in a full-time schedule over four semesters (2 years). These two formats facilitate the involvement of students who have already begun their careers and wish to complement their education with a master’s degree, while also allowing more academically focused students to complete the program more quickly. The program includes internet-based courses, two field schools, an applied research project, and a thesis. All core courses and the field schools are mandatory. The GENI program provides students with the opportunity to learn through high-level critical comparisons between northern and Indigenous regions. The primary goal of this program is to build the necessary capacity for relationships between academia, industry, governments, Indigenous peoples and northern communities to create thriving local economies, respecting Indigenous rights and protect sensitive northern environments. a unique understanding of the interconnected nature of the issues and challenges in Indigenous and northern areas. participate effectively in a formal negotiations process. propose suitable ways to undertake meaningful dialogue with community members, government officials, and industry representatives in northern and Indigenous areas. Applicants must meet the general admission requirements of both UiT and UofS. The GENI program is interdisciplinary and is open to students with a wide variety of educational backgrounds. Students must document at least a bachelor’s degree (180 ECTS), or an equivalent qualification, with a specialization of 80 ECTS, preferably within social sciences, law or education. Applicants must enclose a statement of purpose (maximum of two pages). This statement must include the purpose for and interest in pursuing the master's degree program (i.e. relating prior academic achievements and professional experiences to the core concerns of the program). There is no need for recommendation letters. Short-listed candidates will be contacted for a brief interview to clarify student and program expectations regarding work-load and progression. Applicants with a Norwegian study background need an average minimum grade of C or better from the bachelor’s degree to be admitted to the master’s program. Applicants who hold a bachelor’s degree or equivalent issued in Europe, Canada, USA, Australia and New Zealand need an average minimum grade of C or better or the corresponding numerical mark/percentage score in order to be considered for admission. The Canadian equivalent is 70%. Applicants who hold a bachelor’s degree or equivalent issued in countries other than the above mentioned must have an average grade of B or better, or the corresponding numerical mark/percentage score, in order to be considered for admission. Working experience in the public and private sectors in the circumpolar north is welcomed but is not a requirement for admission. Application: Through the UofS's online application system. If you have questions regarding admission, please refer to the contact information for the GENI program. Core courses are all delivered online and in flexible formats to facilitate the involvement of students currently employed in the field as well as those who wish to continue to live and work in their northern communities. The two field schools in the first two semesters create a platform for building a student cohort necessary for cooperation throughout the program and after graduation. The program also encourages active student participation in all core courses. student presentations, e.g. posters, power points, and video clips. The program prepares students for doctoral programs in public policy, indigenous studies, sustainable development, and other related fields. Graduates of the GENI program will be prepared for careers in various levels of government; at economic agencies; with industry and in private entrepreneurship; in consulting, and with non-governmental and community-service organizations. International student mobility is a core element in the GENI program. Students will participate in two field schools in their first year of study. The first field school take place in Saskatchewan, Canada in September. The second field school takes place in Northern Norway in March/April. There is also opportunity to spend a full semester at the partner institution for the purpose of taking elective courses. Exchange studies abroad will make you more attractive on the job marked. Studies abroad will increase your learning outcomes, improve your language skills, give you unique adventures and international experience. 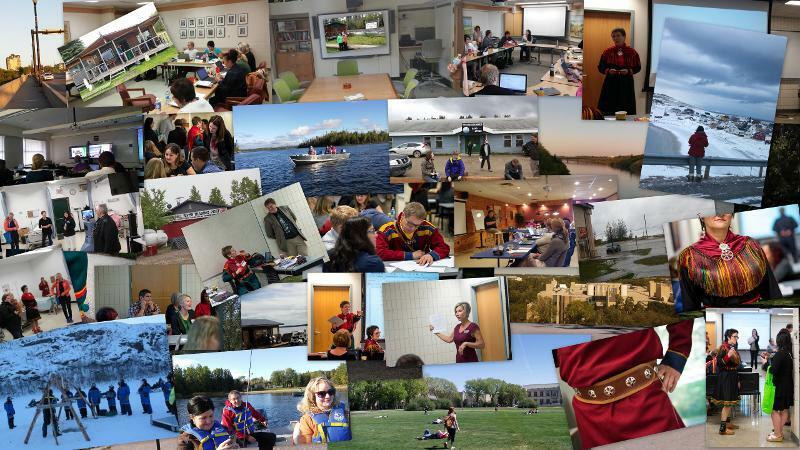 Exchange possibilities: University of Saskatchewan, Canada.